Last year I showed a 45 amplifier with a driver stage which could accept either another 45 or a 10Y. 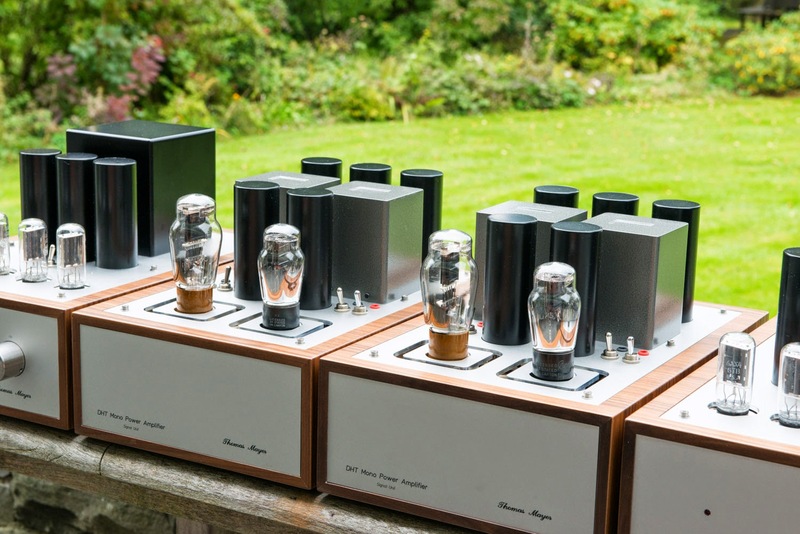 The owner of the amps requested them to be modified so they can also use the 300B as output tube. 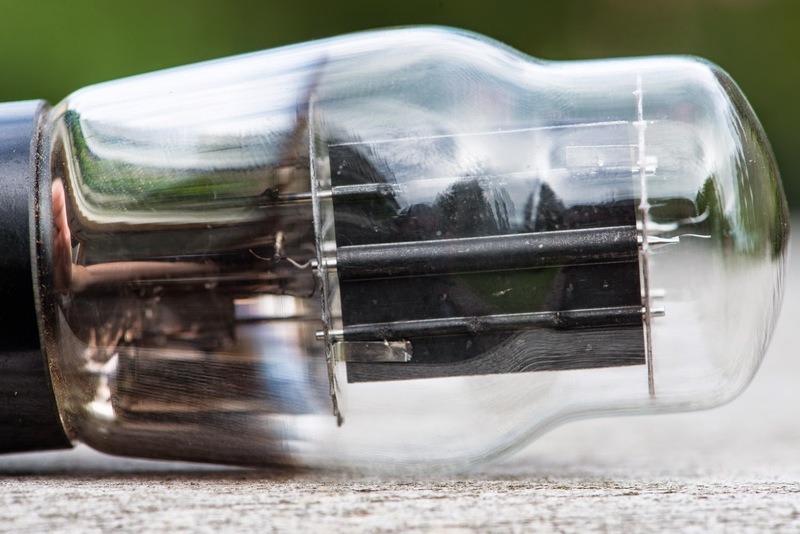 It is relatively simple to make an amplifier such that it can accept either a 45 or 2A3 output tube as was done in this amp. 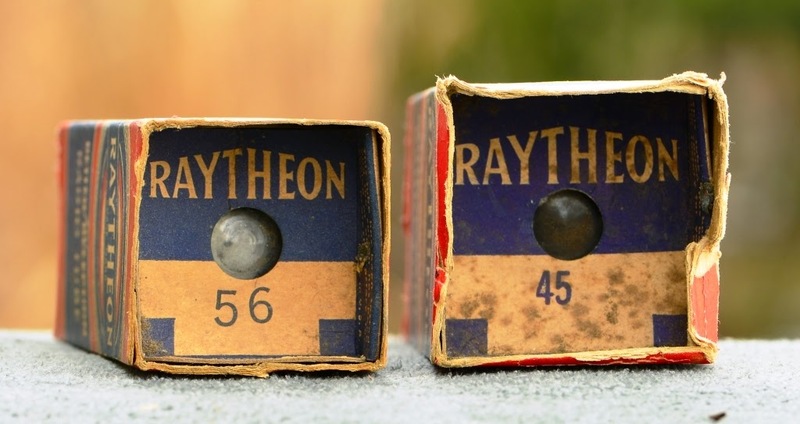 The 45 and 2A3 use similar operating voltages. 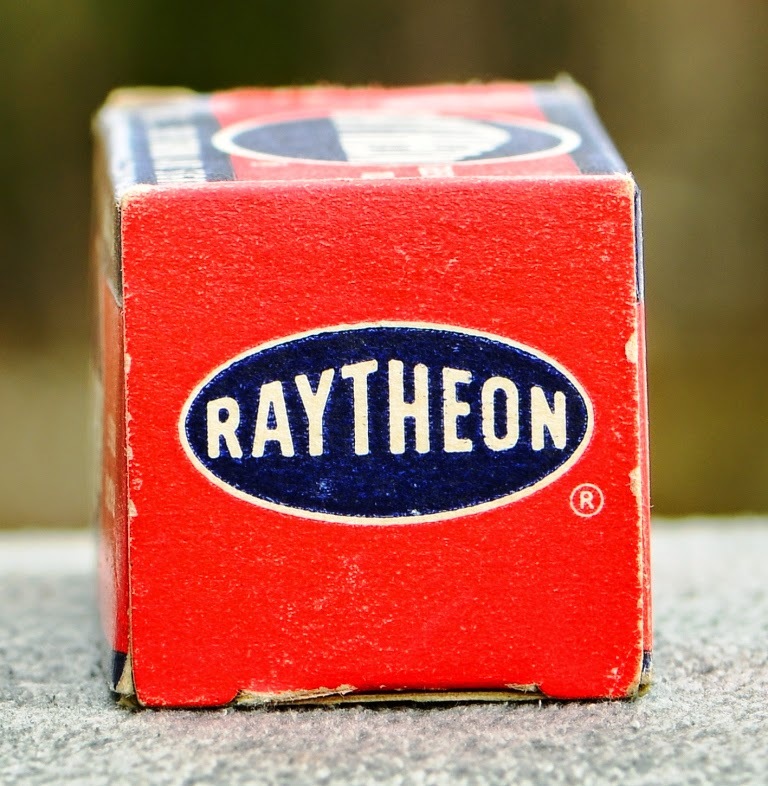 While the 300B could be run at a low operating point using the same voltage as the 45, this would not use it's full potential. So a more elaborate switching scheme is necessary to set the amp correctly for either tube, hence two switches. 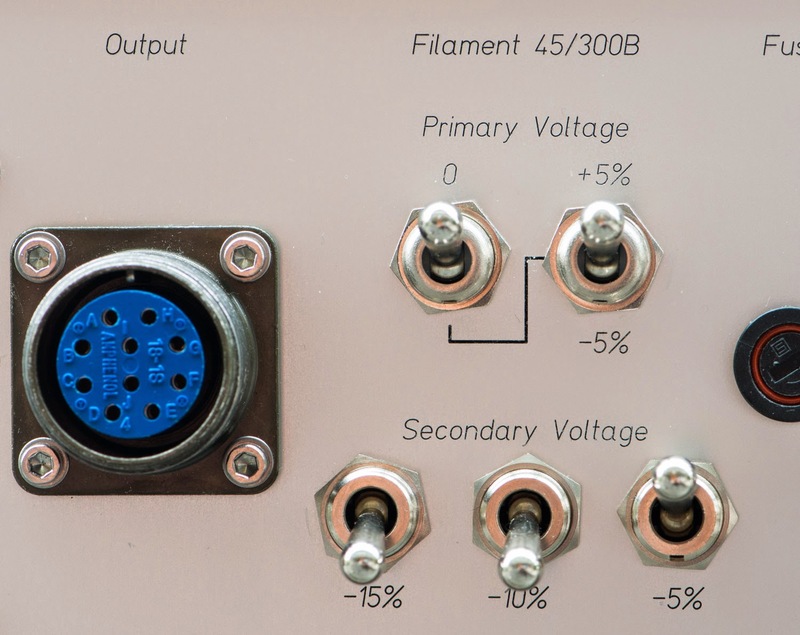 To easily monitor filament voltage, two measurement jacks were added as well. The switchability of the driver stage was kept. 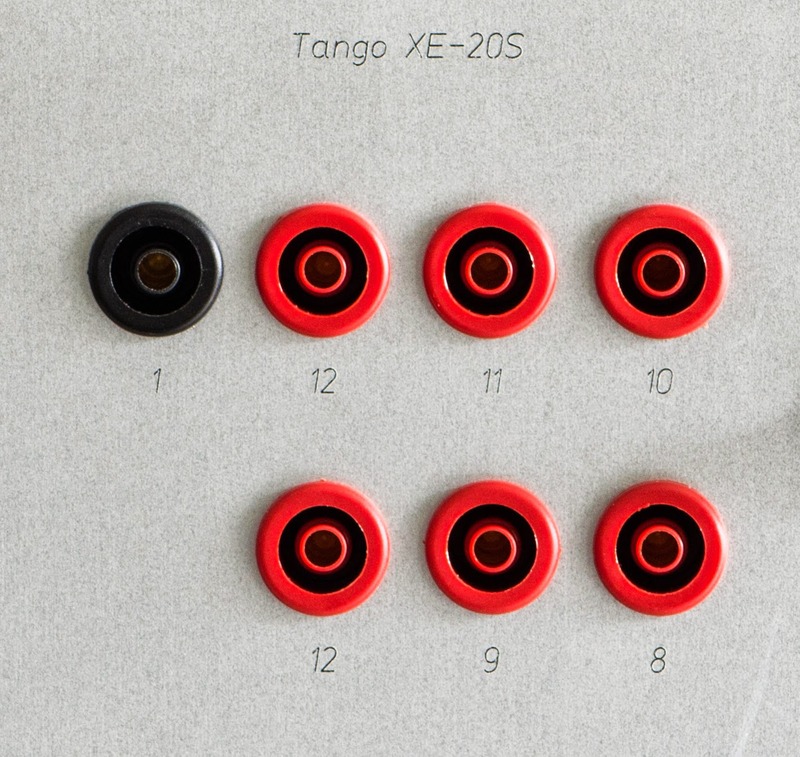 And finally for covering to all kinds of situations, a set of switch was added to the back for adjustment of filament voltages over a wide range. 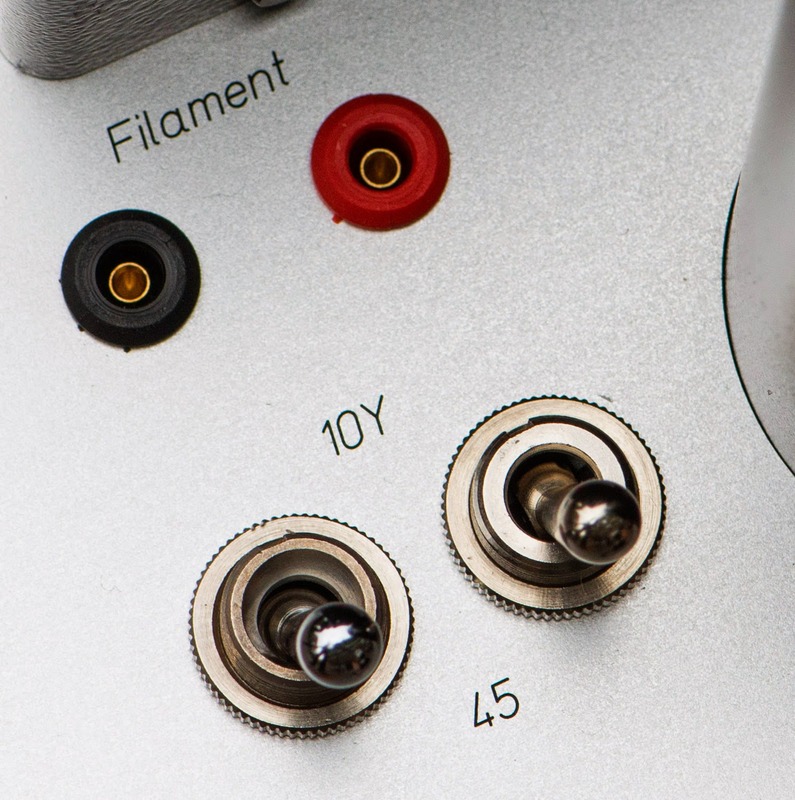 This allows to adjust the filaments by accessing different taps of the filament transformer, in case some tubes are used with filament specs that do not match the originals. 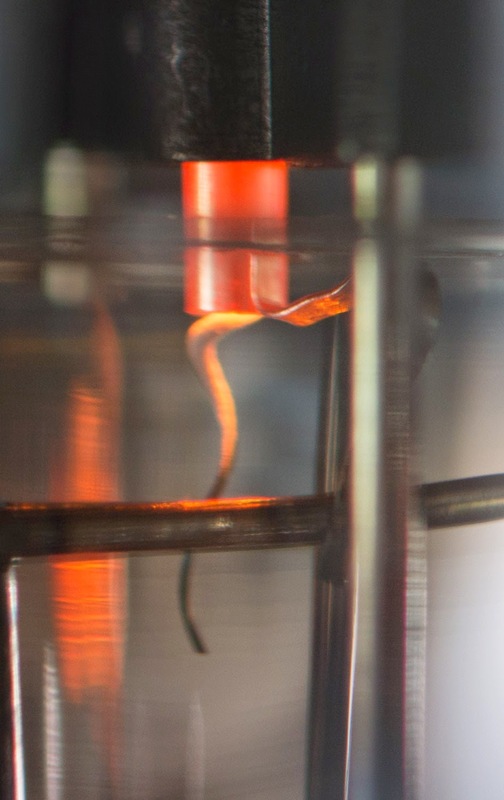 There are cases of new production tubes which draw much higher filament current. 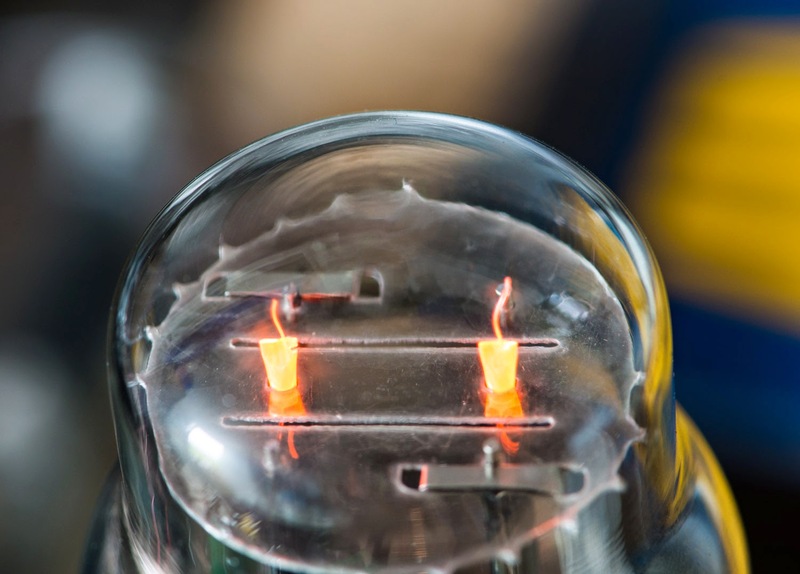 The filament voltages are DC for driver and output tubes for hum free operation. The complete set of mono blocks with their power supplies, here equipped with ceramic base 801 in the driver sockets and Electro Harmonix 300B output tubes. 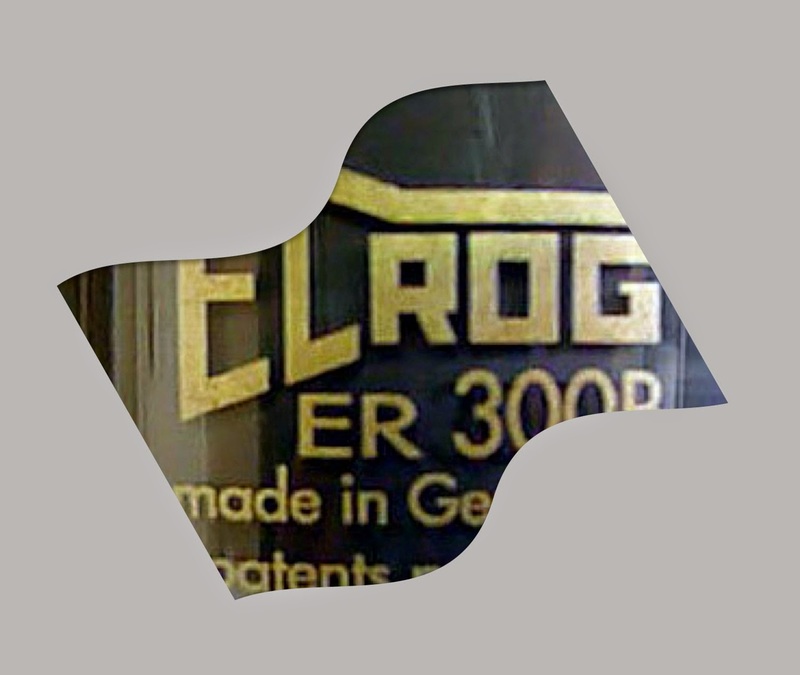 As soon as the new Elrog 300Bs arrive these will also be evaluated in this amp. Please don't expect me to give sound descriptions of all these combinations. This is highly subjective and I learned that different users of such switchable amps seem to develop different preferences. I will run some listening sessions during the next days and report my impressions on some of the combinations. Stay tuned. Great news! 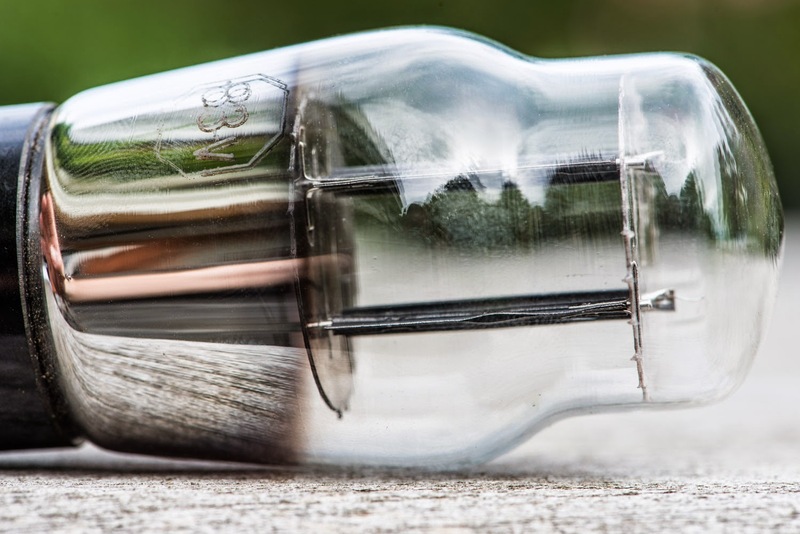 The new german made tube many people are eagerly waiting for is finally coming! I expect the first tubes to arrive next week. 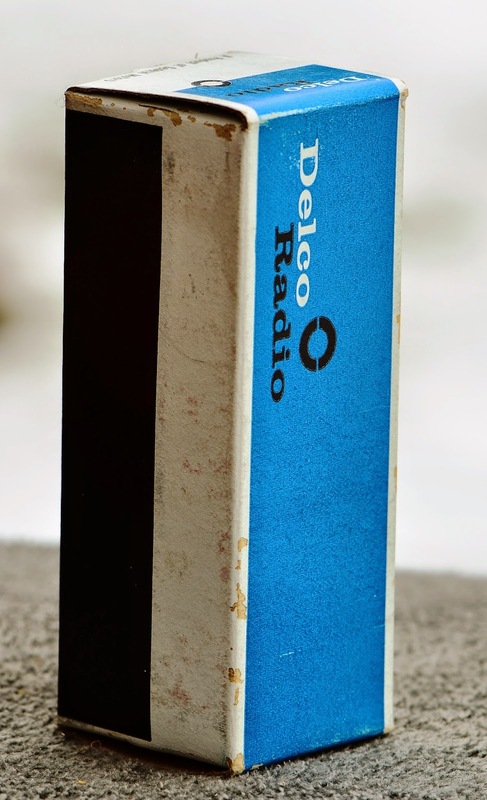 Stay tuned for photos and the first listening tests. I will also start to accept preorders next week. Availability will be very limited until the end of the year. Deliveries will be done based on the pre order queue. Endlich ist es soweit, die Röhre auf die so viele warten kommt! Ich erwarte erste Röhren nächste Woche. Es wird natürlich Berichte mit Fotos und Klangeindrücken geben. Ich werde dann auch Vorbestellungen annehmen. Die Verfügbarkeit wird zunächst sehr begrenzt sein. Die Auslieferung erfolgt in der Reihenfolge der Vorbestellungen. Due to my preference for TV Damper tubes like the 6AX4, classic rectifier tubes haven't received a lot of attention on my blog so far. 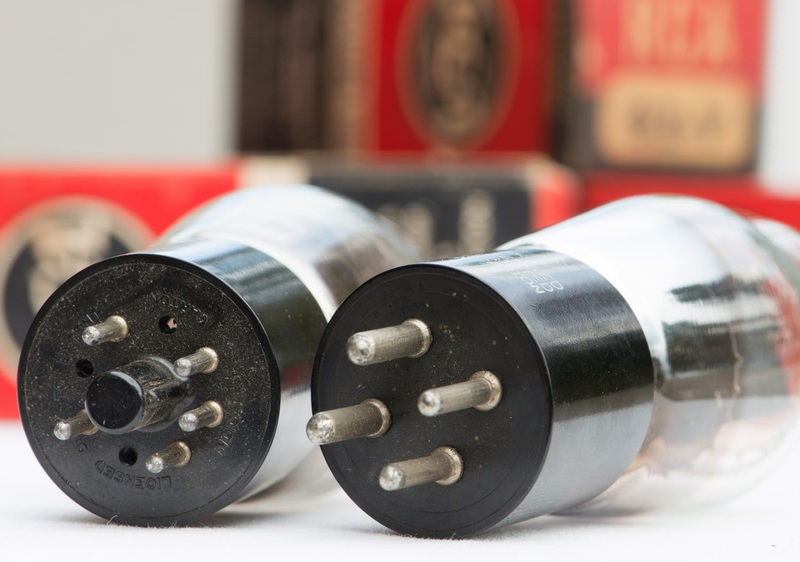 Except for the 5X4 which was presented last year, none of those classic two diode rectifier tubes with 5V filaments/heaters have been covered. This doesn't mean that I don't consider them as useful. I'll give them some more attention in the future not only on the blog but also in actual projects. 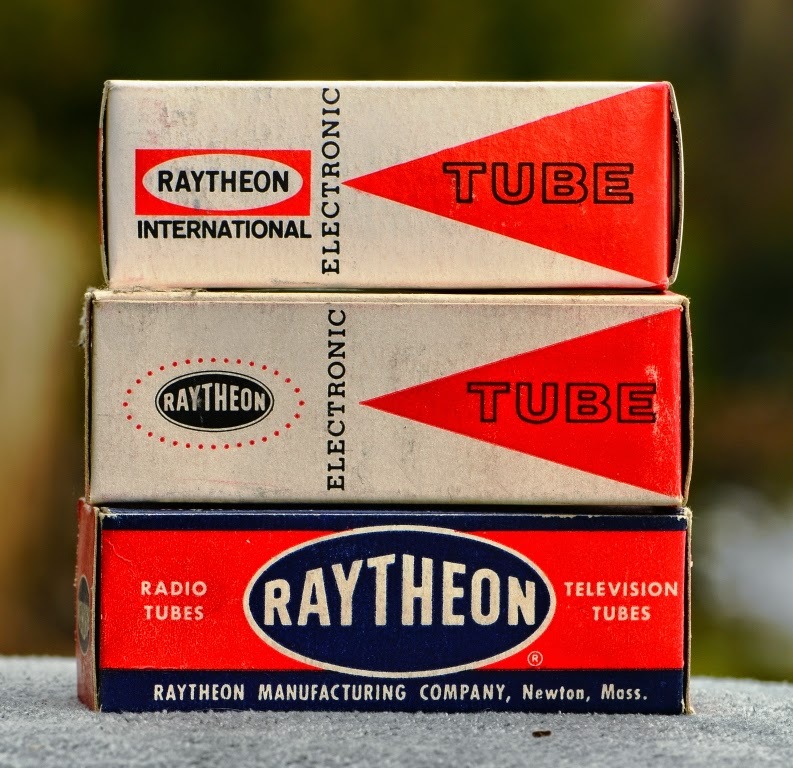 This months tube is a type many of you probably never heard of: The 83V. 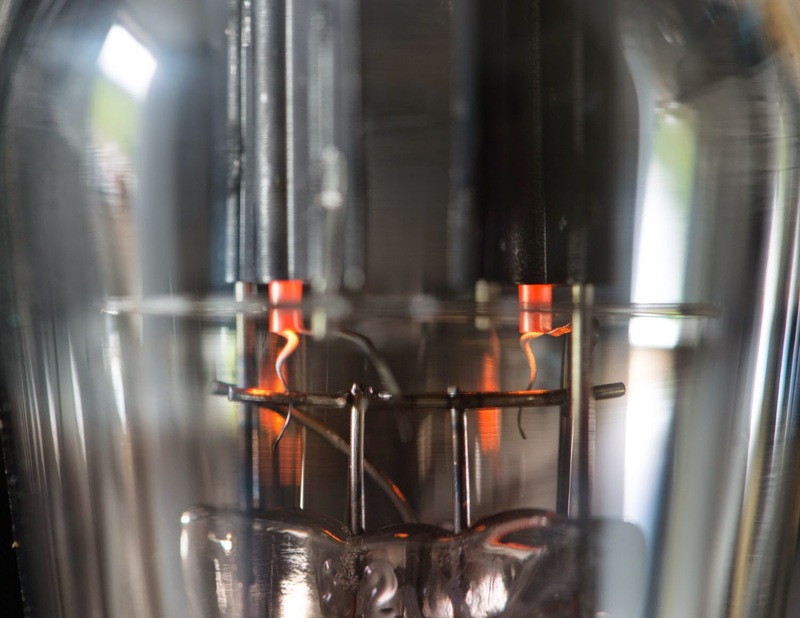 The 83V is not to be confused with the 83, a mercury vapour rectifier tube. 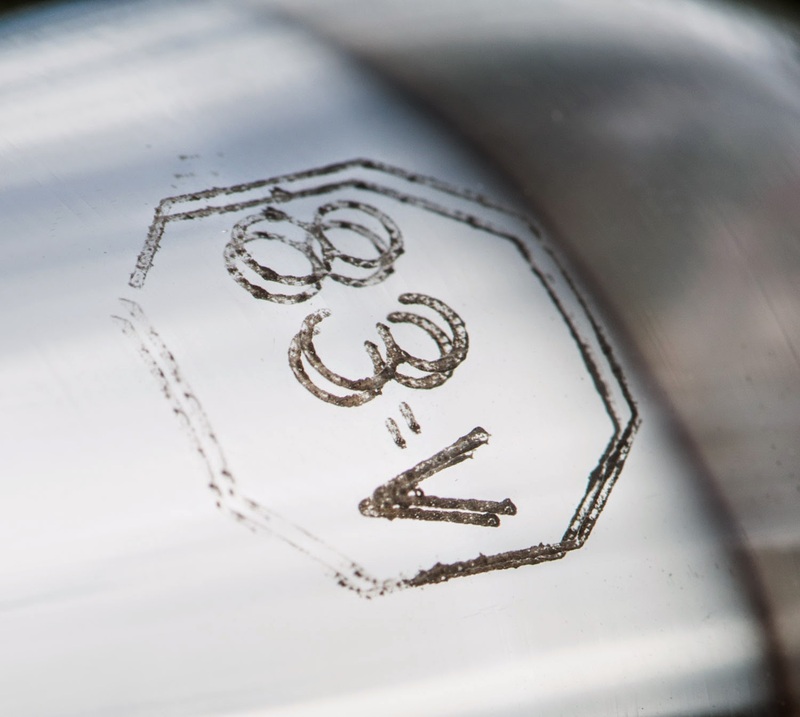 As the appendix 'V' indicates, the 83V is a vacuum tube. It was introduced in 1934. It was probably meant as an alternative to the 83 which avoids the hazards of a potential mercury spill in case a tube breaks. 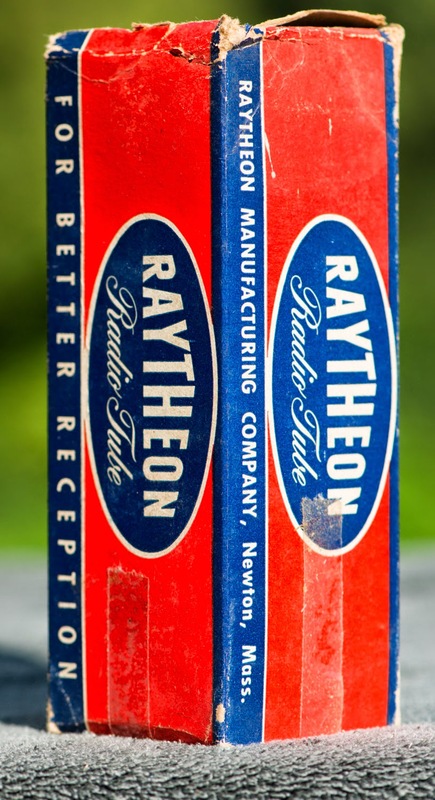 But the 83V cannot replace a 83 in every application since it has lower ratings. 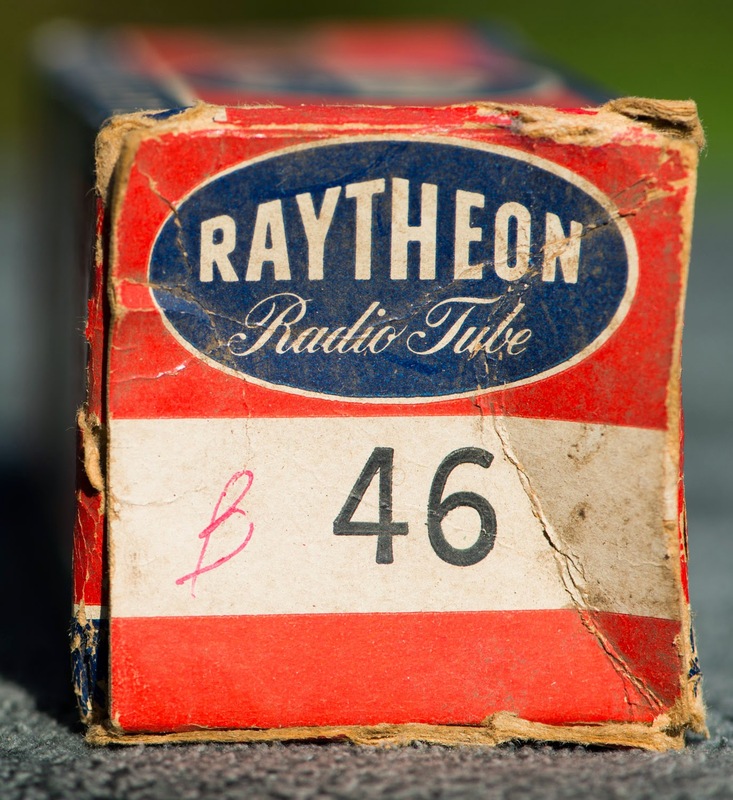 Both tubes have the UX4 base in common (pinout shown on the left). But that is where the similarities end already. 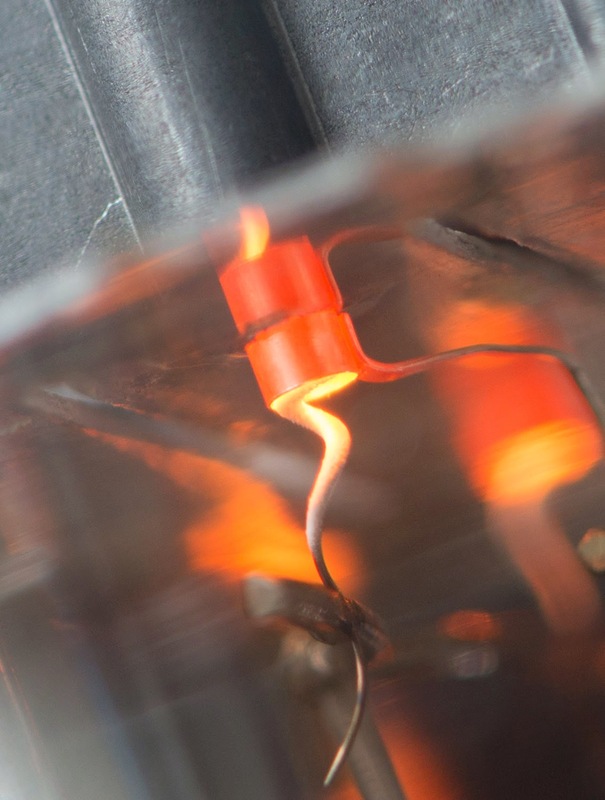 While the 83 is directly heated, the 83V has an indirectly heated cathode. 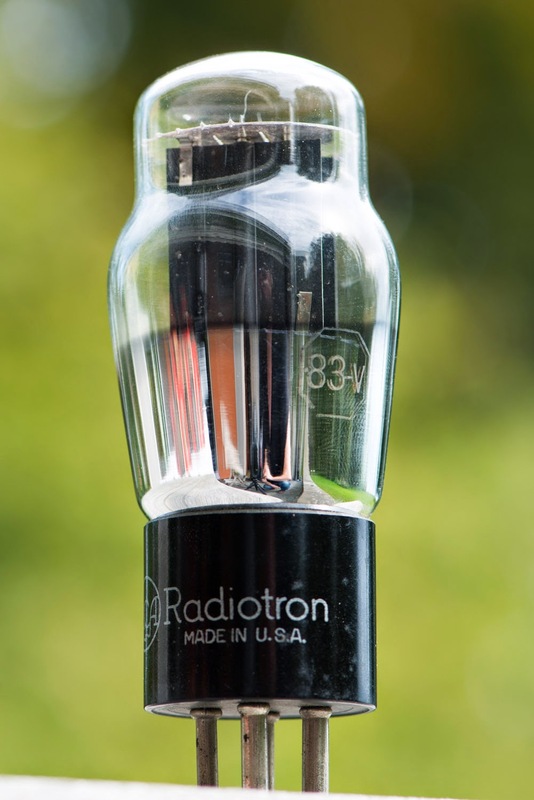 The cathode is connected to one end of the heater inside the tube to avoid the need for a fifth pin. Sometimes this is referred to as half indirectly heated. 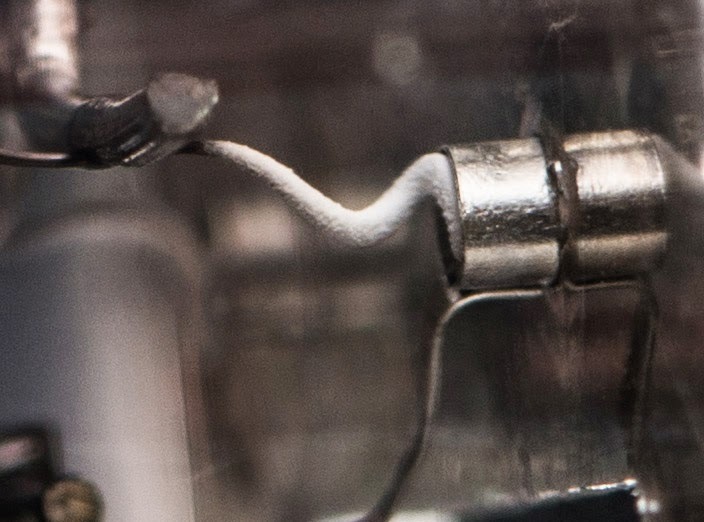 With the indirectly heated cathode, the 83V has a rather low internal voltage drop which mimics the mercury vapour tubes, the drop is not as constant but rises with current draw. 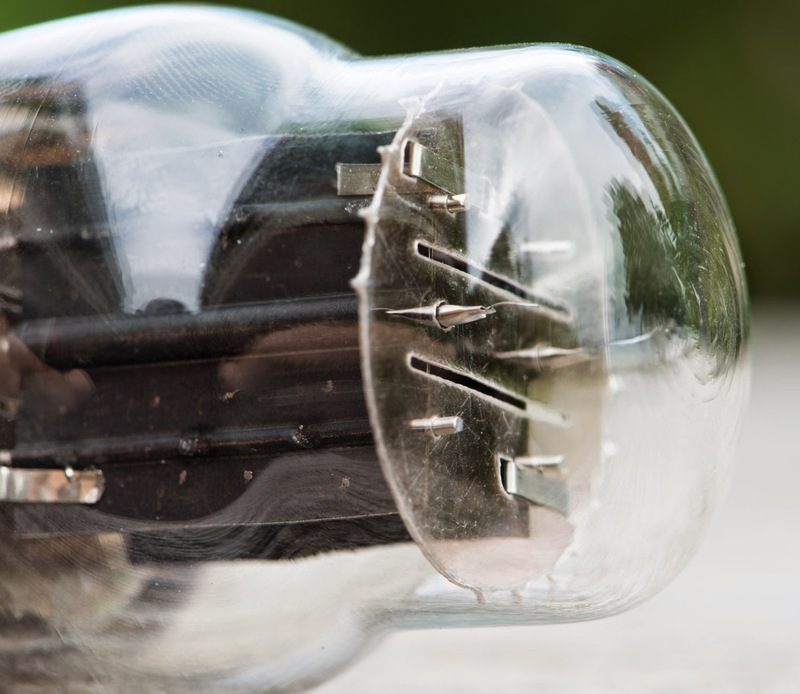 While the 83 filament consumes a hefty 3A, the 83V only requires 2A. Peak inverse voltage is the same 1400V for both, but the vacuum variant has a lower current rating of 200mA max versus 250mA of the 83. A big advantage of the 83V is the slow voltage rise as the heater warms up. 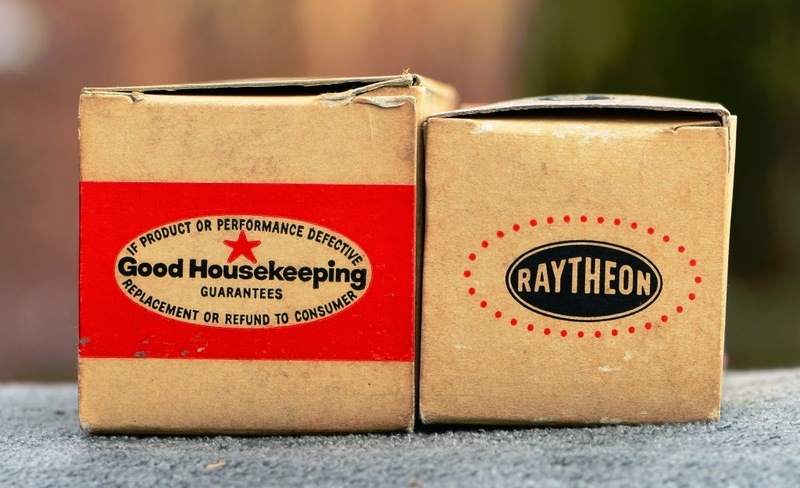 It also doesn't require a preheating procedure. Both types also differ in terms of size. 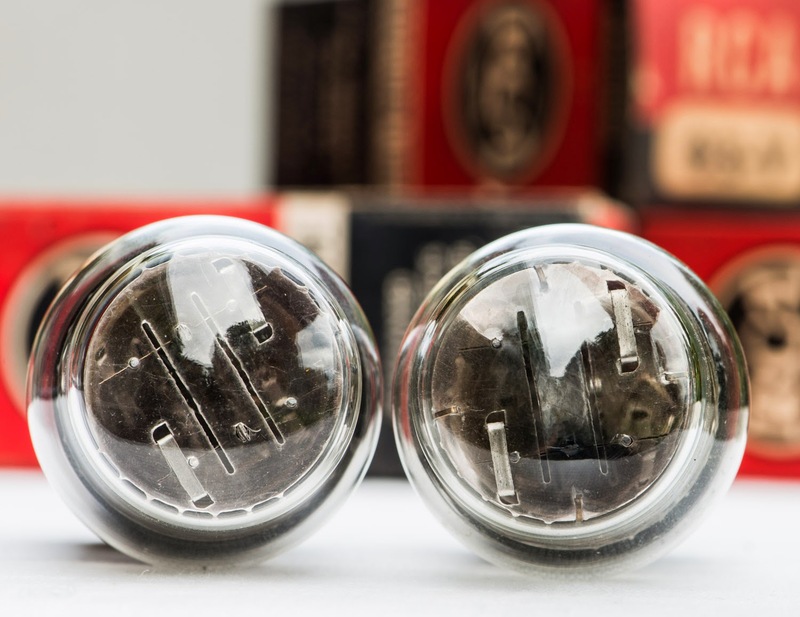 The 83V has a ST14 bulb while the 83 comes in the larger ST16 glass. 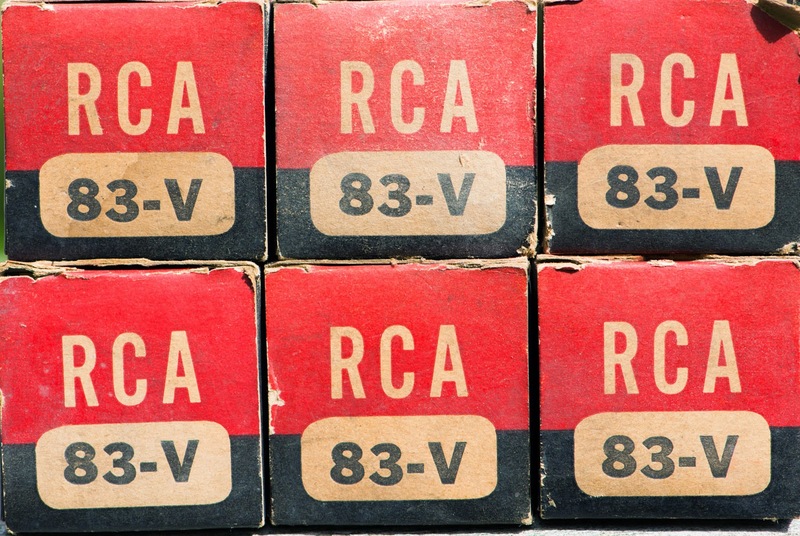 The 83V has the same size as a 45 which would make a good fit on a 45 amp. 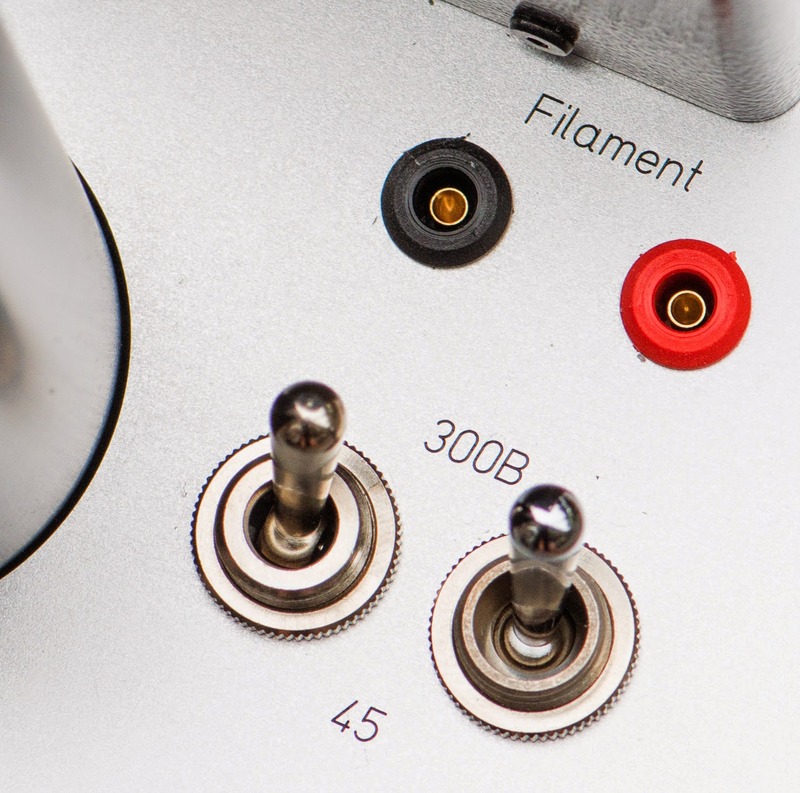 Current and voltage capabilities are more than adequate for a stereo SE 45 amplifier. That will probably be an application for which I might use the 83V in the future. 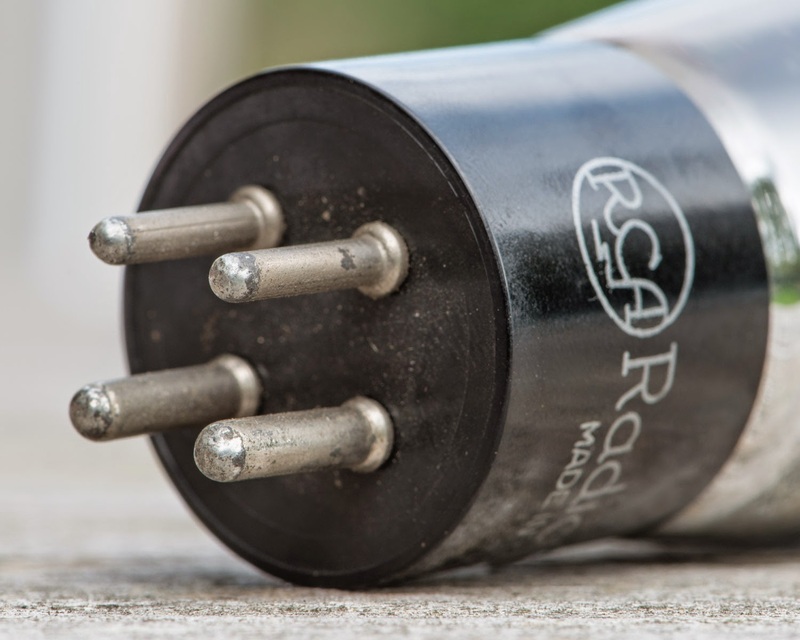 also powering a stereo 2A3 amp would be possible, while the current rating would be too low for a Stereo 300B amp. A mono 300B would be possible however. 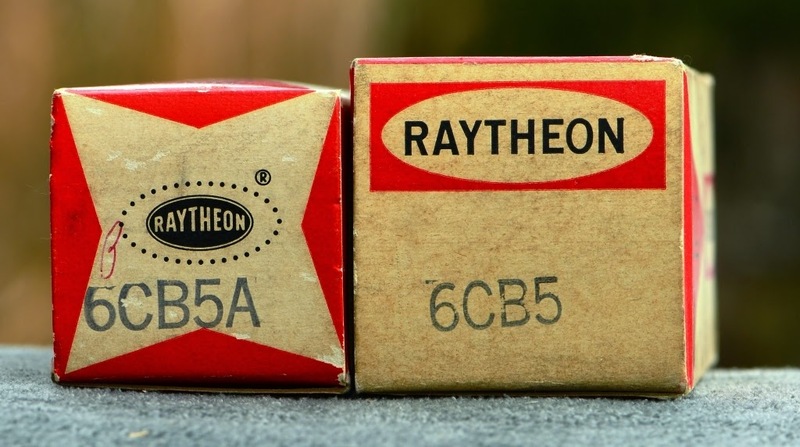 While the 83V is quite different to the 83, it has a much closer equivalent, the 5V4 which is basically the same tube with an Octal base. Both of these will also be covered in some future Tube of the Month posts. 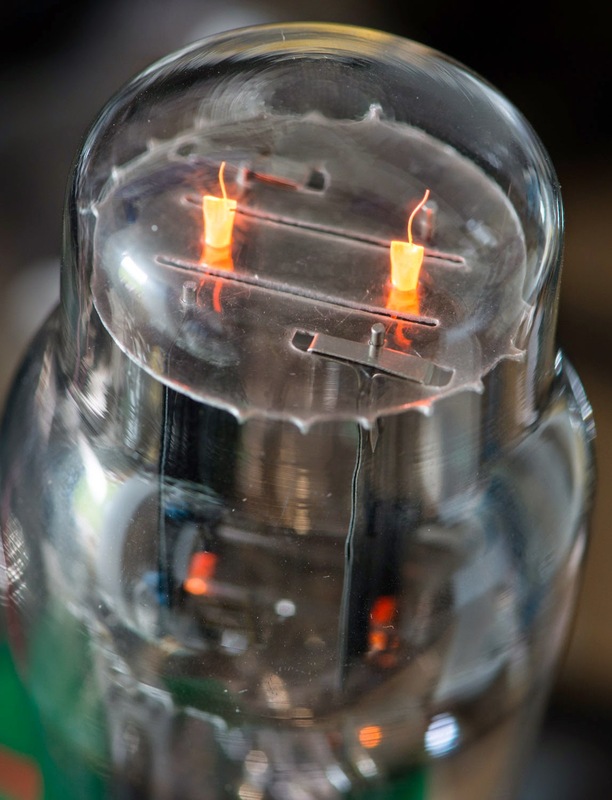 Although this rectifier is quite capable for such a small bulb, it has not been used a lot in audio. Nowadays it seems to be forgotten among amplifier builders. 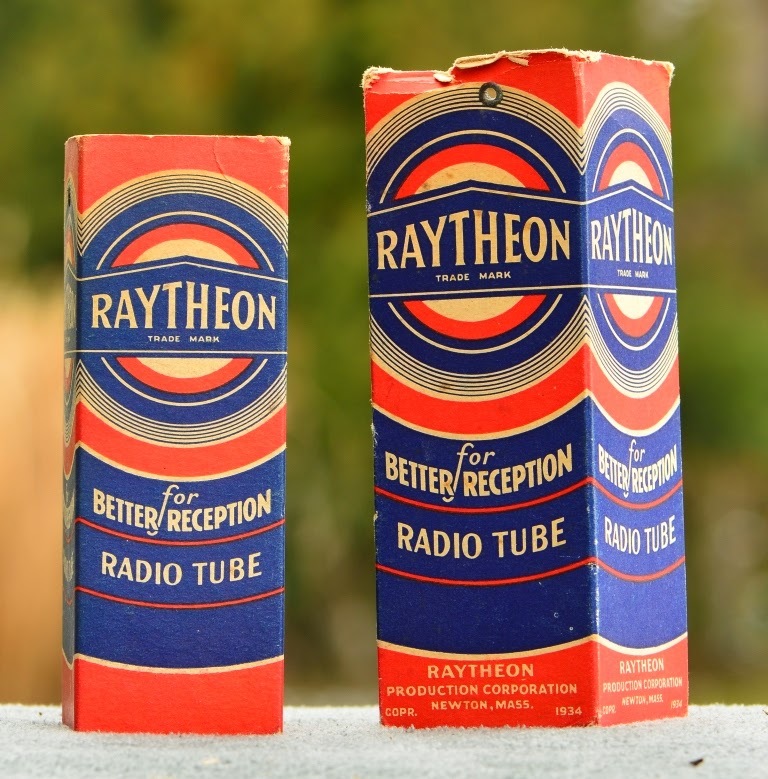 Thus it is still available from tube dealers at reasonable prices, albeit not as cheap as TV dampers. 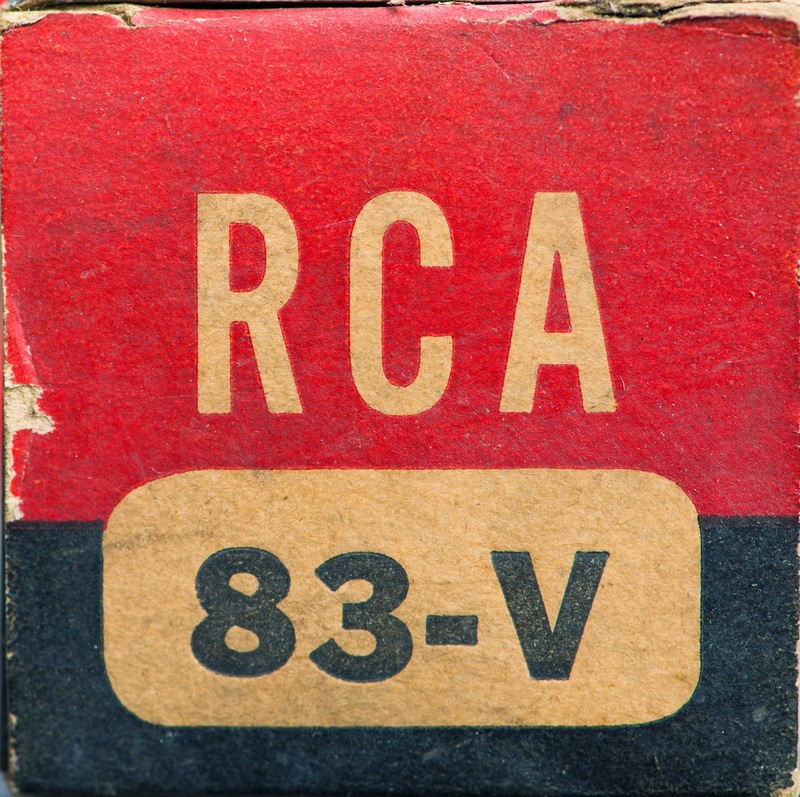 I only have RCA 83-v in my collection, so can't show any other brands. 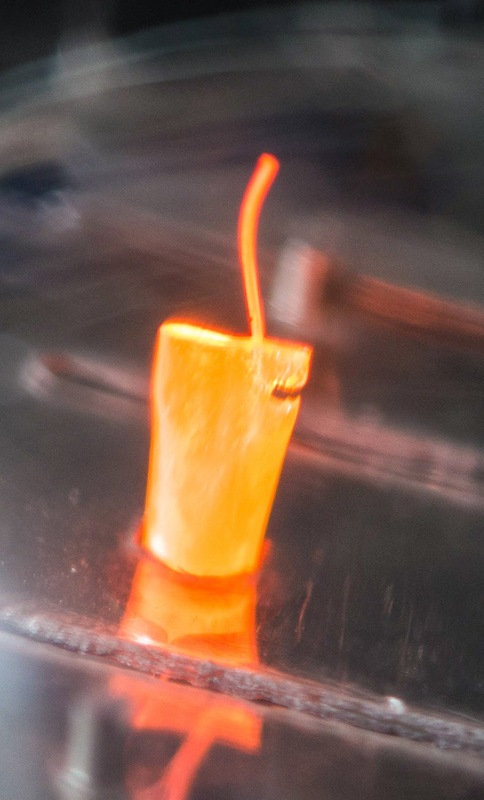 The cathodes give off a nice orange glow. Can't get enough of that beautiful glow. 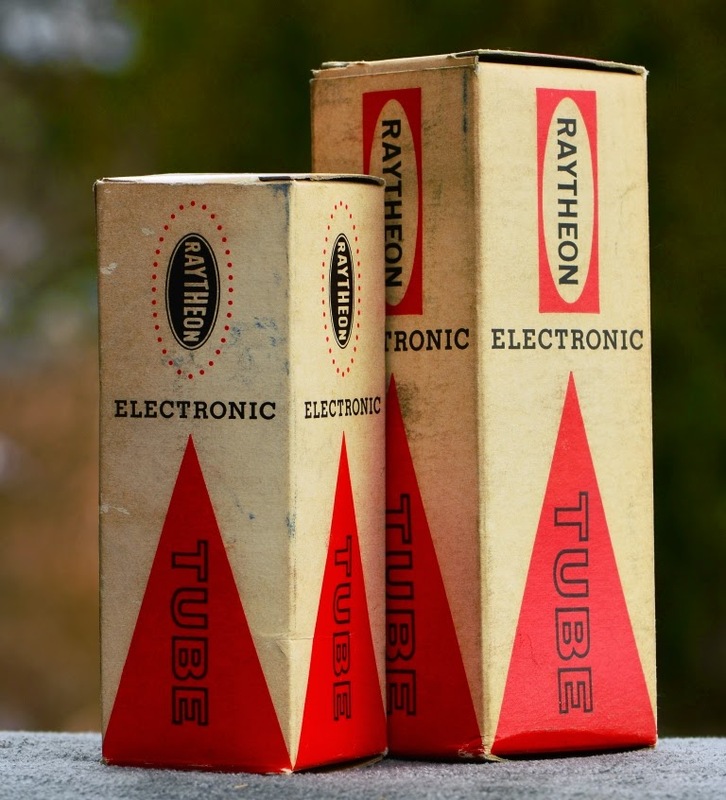 That's why the color scheme of the logo at the top of the blog resembles the glow of tubes. 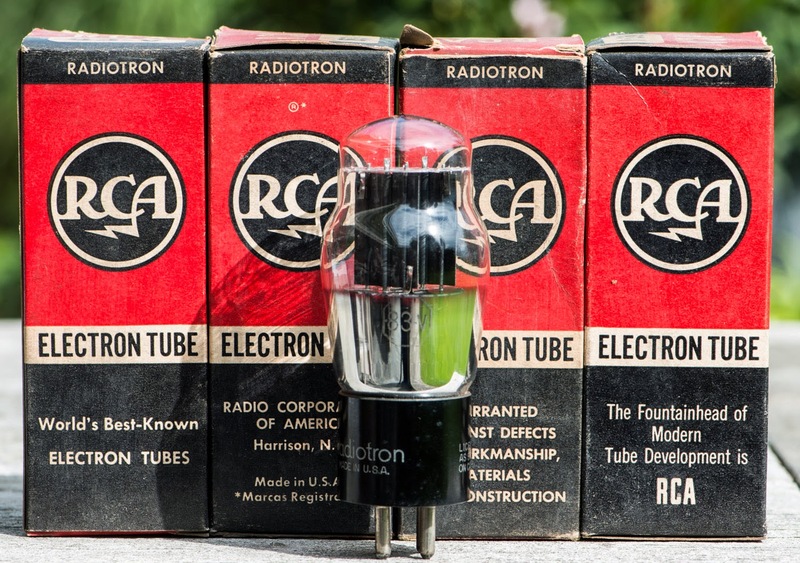 I hope you enjoyed this expedition into the world of 'classic' rectifier tubes. 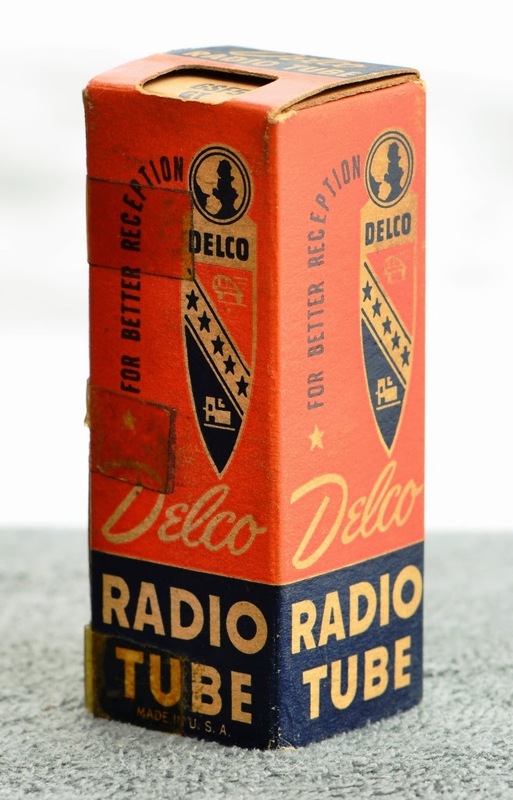 Delco was a subsidiary of General Motors which developed car electronics and radios. 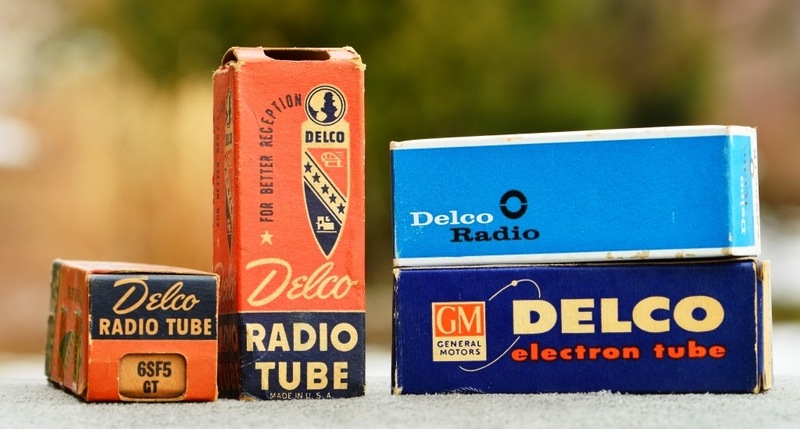 They also supplied tubes under their own brand. 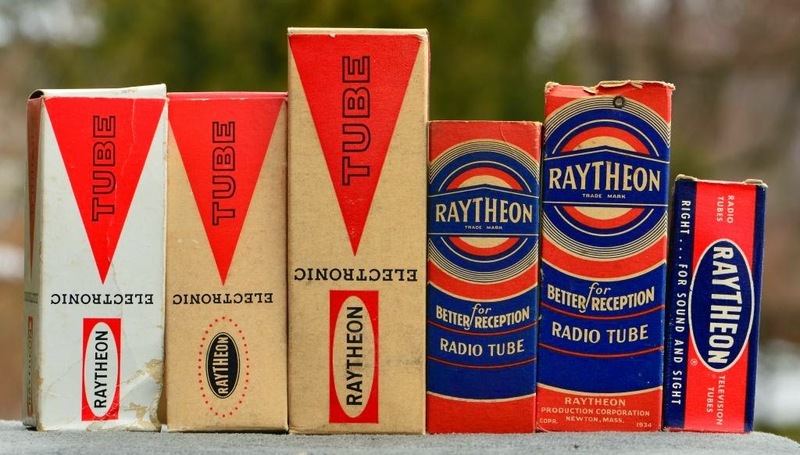 As far as I am aware they did not have tube manufacturing of their own, so these were rebranded tubes from the major suppliers. 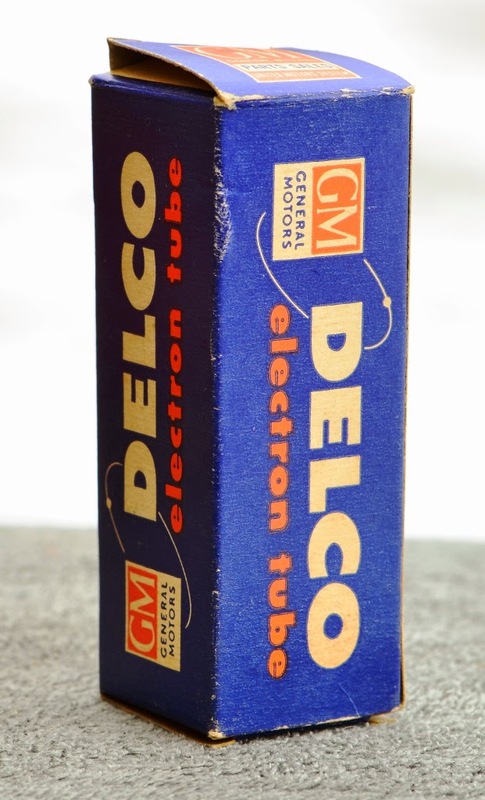 I found this tube box branded General Motors Parts Corp. Not sure if that was part of Delco or if this box is from a time prior to the formation of Delco. More cool stuff just arrived! 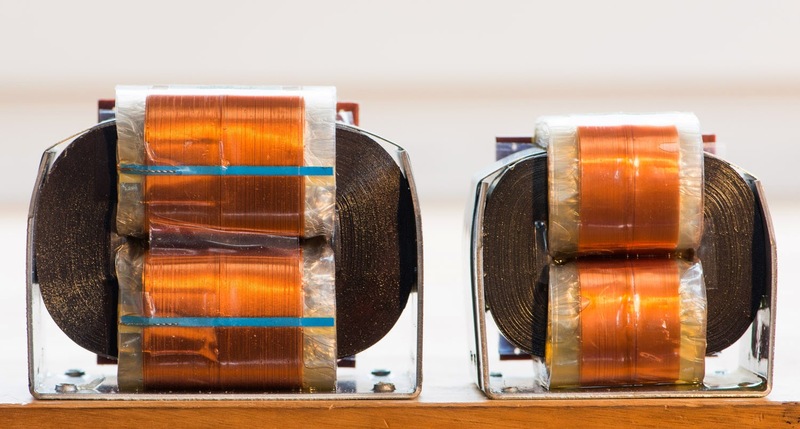 A pair of line output transformers with TVC (transformer volume control) secondary. Same style as used already in the 10Y line stage. 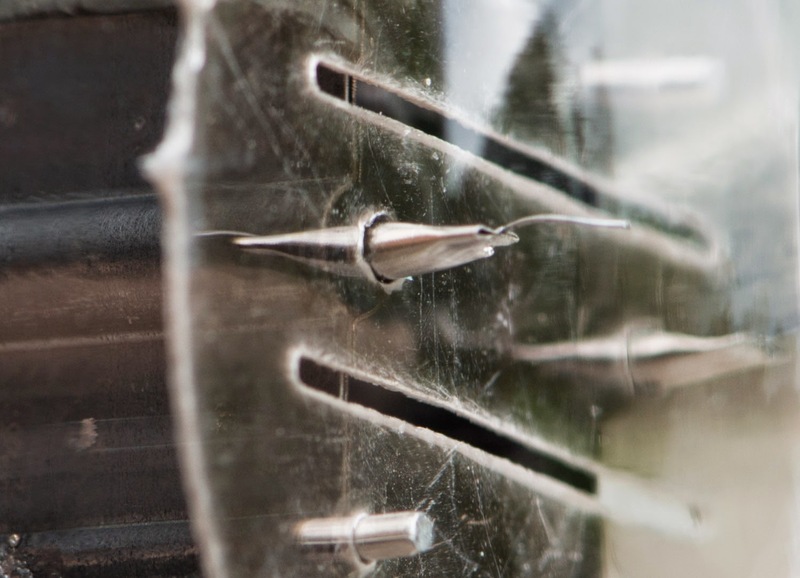 Only this time with silver wire and Finemet (nano crystalline) core material. I think the 10Y line stage performs already on an extremely high level as is. No matter if equipped with Tribute OPTVC or a combination of Lundahl line out transformers and Intactaudio AVCs (auto former volume control). Several versions of the line stage have been built with both and they work nicely for the people who use them. Yet occasionally I am asked if it is possible to even improve on this. 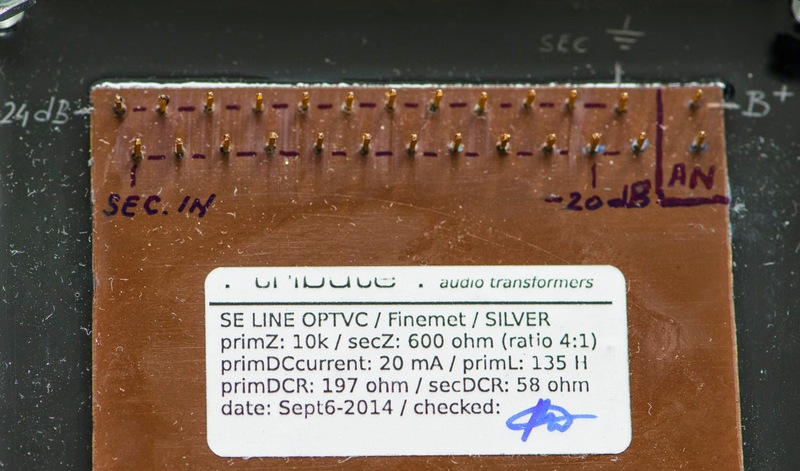 One result of such a request was the differential 10Y preamp. 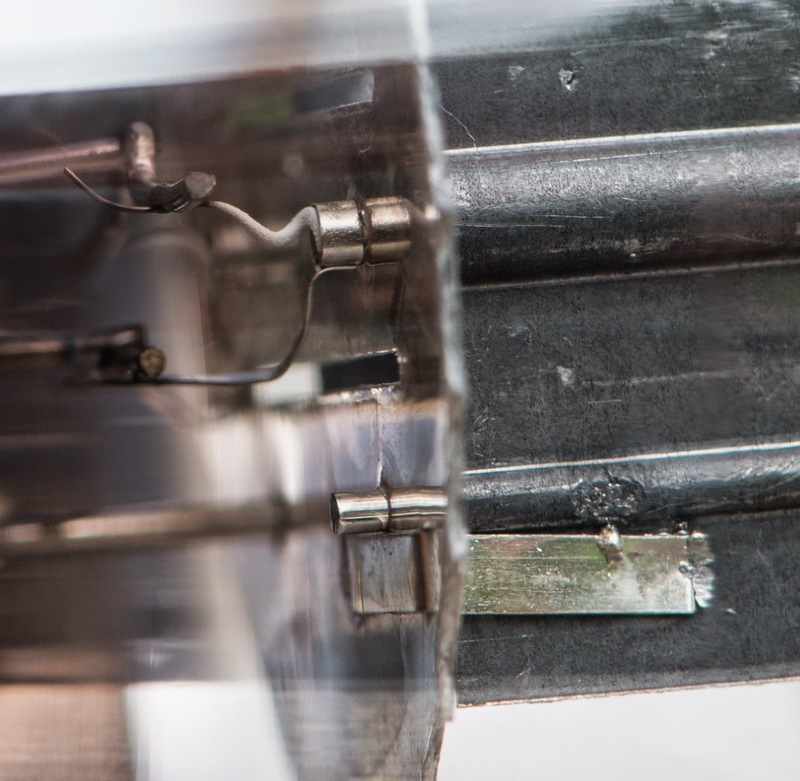 The other possibility is to use silver windings in the transformers. 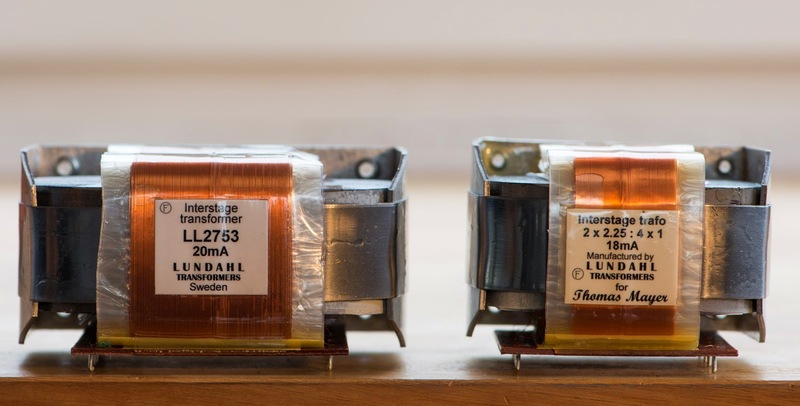 So I commissioned a pair of silver wound line output transformers with TVC secondaries (dubbed OPTC) to Pieter Treurniet. Besides silver these also use a nano crystalline core material called 'finemet'. 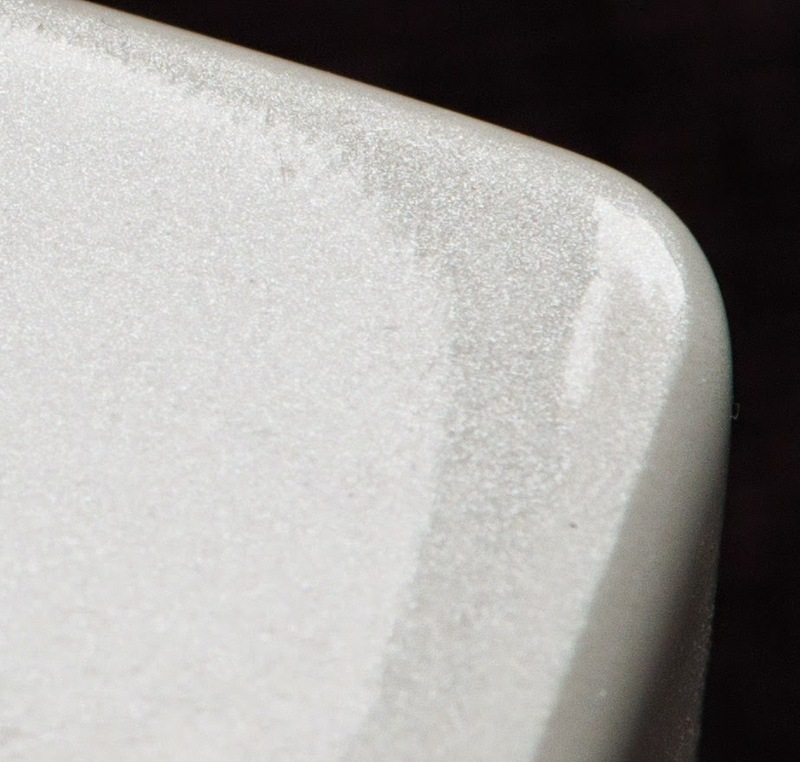 The cases also got a special finish in metallic white, which was applied by the paint shop who treats my transformer covers. Stay tuned for updates as the assembly of this over the top version of the line stage progresses. During my visit at Lundahl in Sweden, we discussed some new products which would be worthwhile to add to the line up. 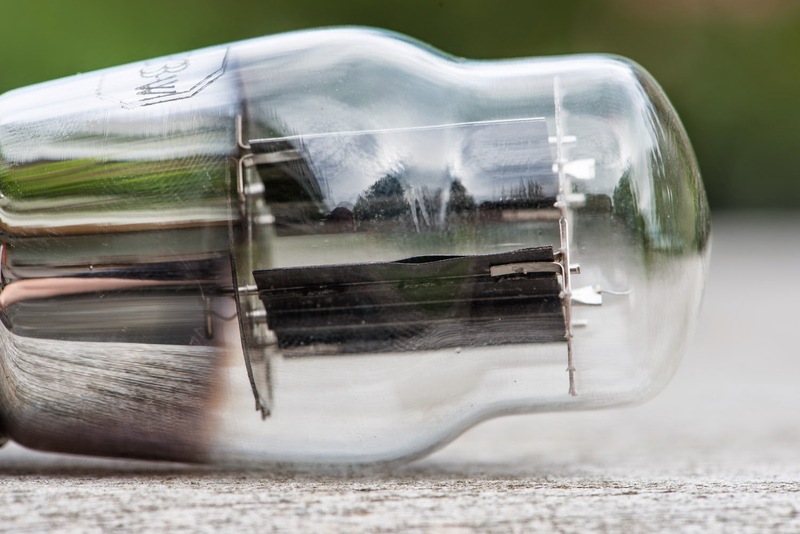 I suggested a 1:1 interstage transformer, capable of enough voltage swing to drive a 845 output tube and for use with powerful driver tubes which draw a lot of current. 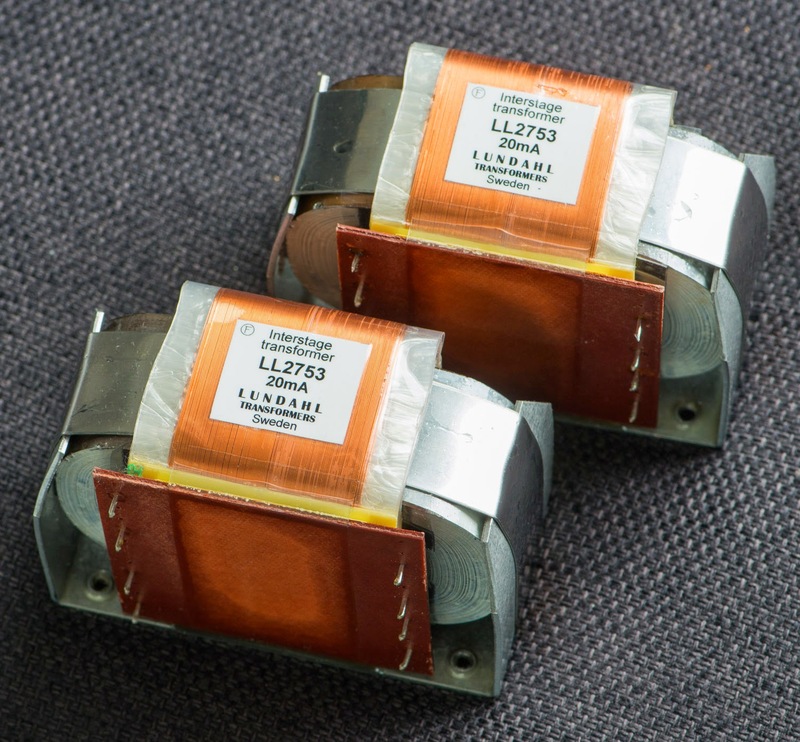 Last week I received prototypes of the new LL2753 interstage transformer. It is capable to swing 330V peak to peak at 30Hz. 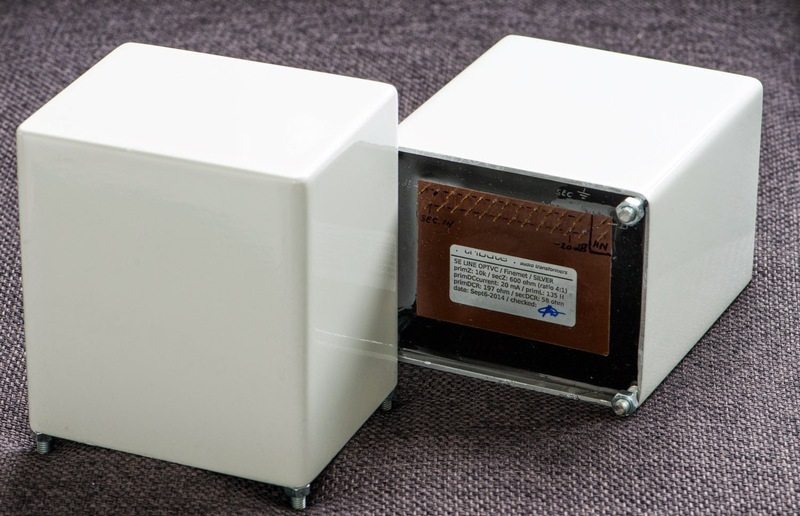 Like most Lundahl products the air gap can be chosen for a wide range of bias currents. My sample pair came gapped for 20mA with a primary inductance of approximately 60Hy. Initial measurements on the bench look very promising with a nice flat frequency response and a smooth roll off without severe resonance peaks. Measurements in an actual tube circuit will be done soon. Stay tuned for more results. 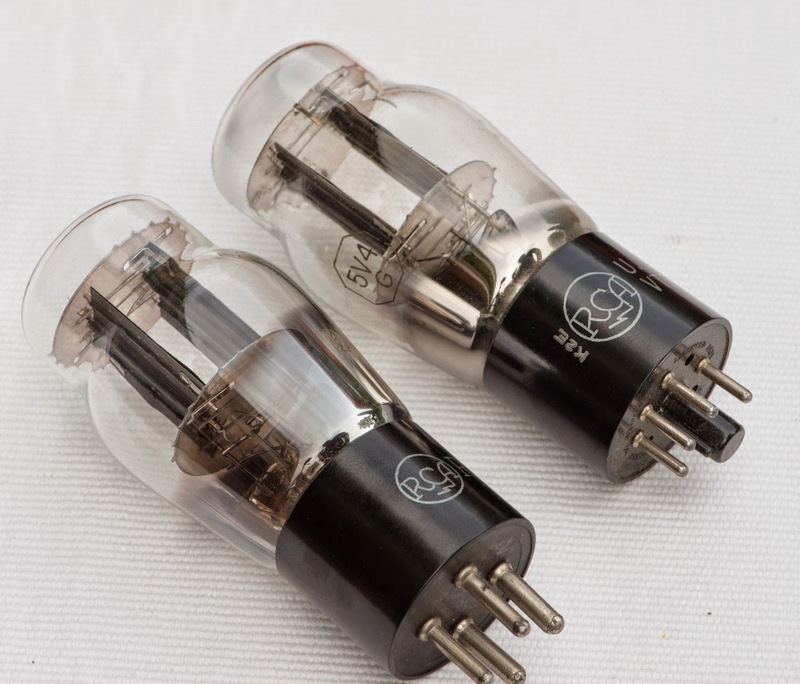 Also a SE 845 amp with these might be coming up in the near future.